It’s possible you’ve navigated to this page because you find the in-camera recording capabilities of your favorite camera to be inadequate or altogether non-existent. Maybe you stumbled in looking for someone to tell you that elevating from 8-bit 4:2:0 to 12-bit 4:4:4 will finalize the transformation from amateur to auteur. 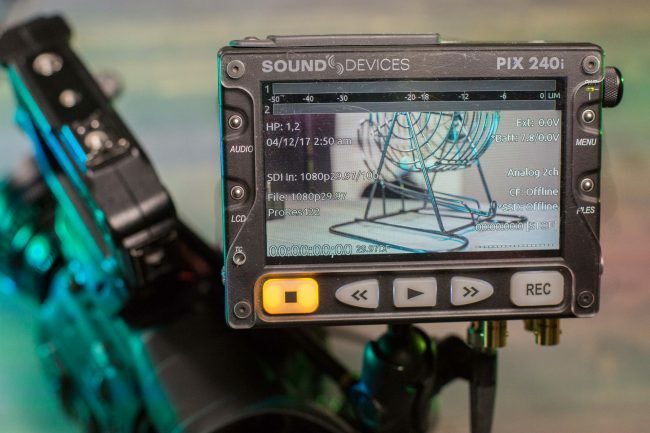 There are many reasons one may look beyond the stock internal codecs of their camera and toward the vast possibilities of external recorders, and we’ll use this article to briefly explore why that may be and the products that will do it for you. We first have to identify the reason you are unsatisfied with the footage you are currently recording. Common complaints are color depth and sharpness. For a refresher on color depth, check out this very helpful article by LensRentals.com video technician Ryan. The color depth recorded by your camera will become more apparent as adjustments to color and luminance are made in post processing. The issues most associated with lower bit depths are blocky patches of color or banding in the gradients of your image. Recorders can assist in remedying this since many cameras will output a higher color depth via HDMI or SDI than can be recorded by their internal codecs, and if heavy color grading is required for your project, the increase in color information may be a necessity. 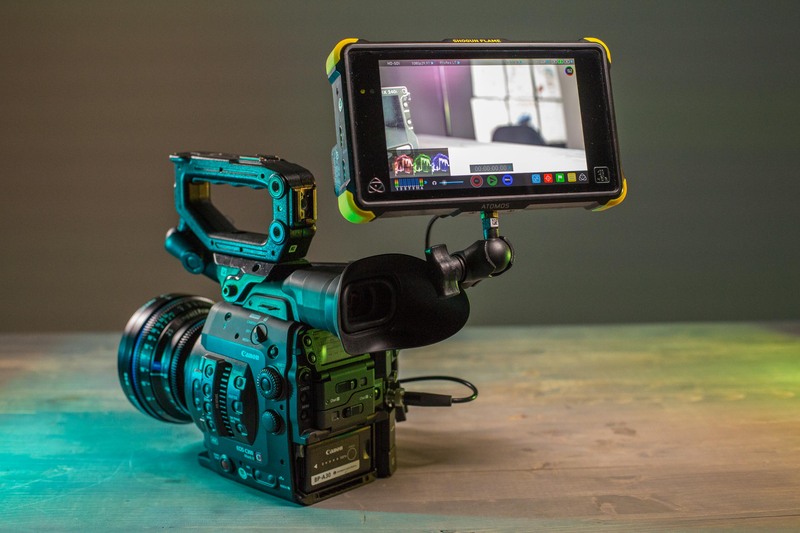 The Sony a7s II, Canon C100 Mark II, and Panasonic GH4 are cameras that are commonly paired with a recorder to eke out a little more color information from the sensor. Sharpness is a little harder to quantify when comparing in-camera to external recording, but many of the same cameras that see benefits to color depth see substantial increases to sharpness when recording from uncompressed video output into an external recorder. In short, if you want to expand editing possibility and increase sharpness, an external recorder is one way to do it. A slightly more advanced version of the above technique can be used when filming with a camera that outputs a raw data stream directly from the information read by the sensor. Cameras that include this feature usually sit toward the higher end of the camcorder spectrum, but if you have the most exacting of standards, this is the way to ensure you capture the absolute best image possible. Sony’s FS line of cameras and Canon’s C300 Mark II are a few of the more popular raw-enabled cameras. When paired with a recorder that can decode the raw data stream, these cameras give you the ability to push color grading in post production and provide image clarity that is unrivaled. Raw video makes a pretty good case for adding a recorder on to cameras that support it. As a bonus, most recorders not only capture footage but also provide a monitoring solution at the same time. 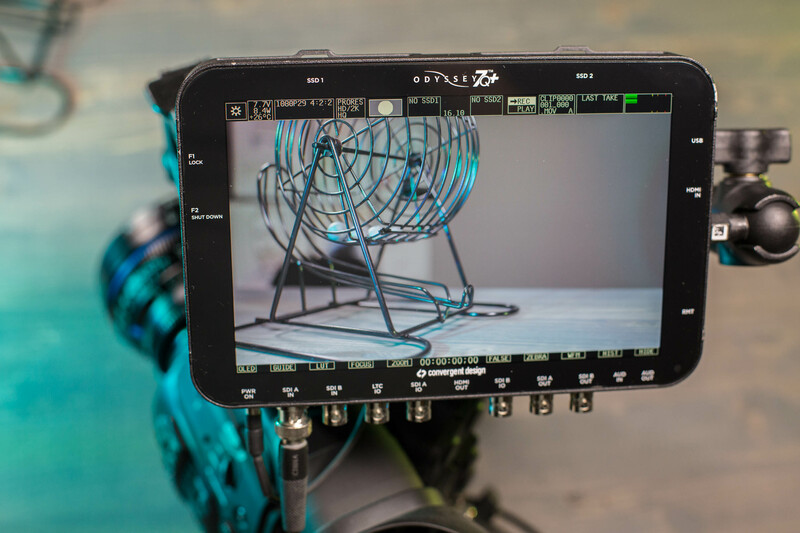 Recent offerings from Atomos even allow for HDR monitoring of log gamma footage. Presets are provided for popular cameras’ log profiles and make it easier to preview what a graded image will look like. Even lower end recorders will provide a screen worthy of at least framing your image. 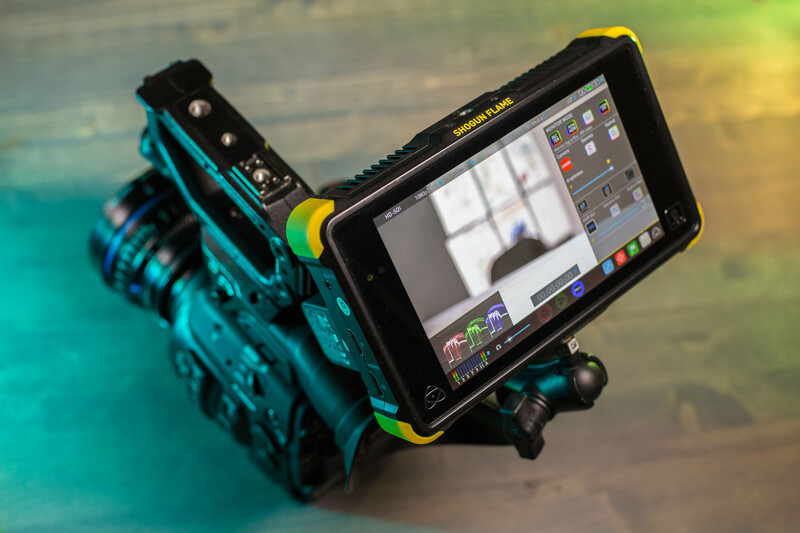 Atomos has been putting out products that are filling any perceived gaps in the recorder market. The two newest series of recorders are the Flame and Inferno lines with Shogun (SDI/HDMI) and Ninja (HDMI only) varieties of each. On top of the HDR monitoring options mentioned above, all of these recorders provide recording to ProRes and DNxHD, XLR inputs with phantom power, video signal pass-through, dual Sony NP hot swappable battery slots, and the ability to record to common SSD drives. 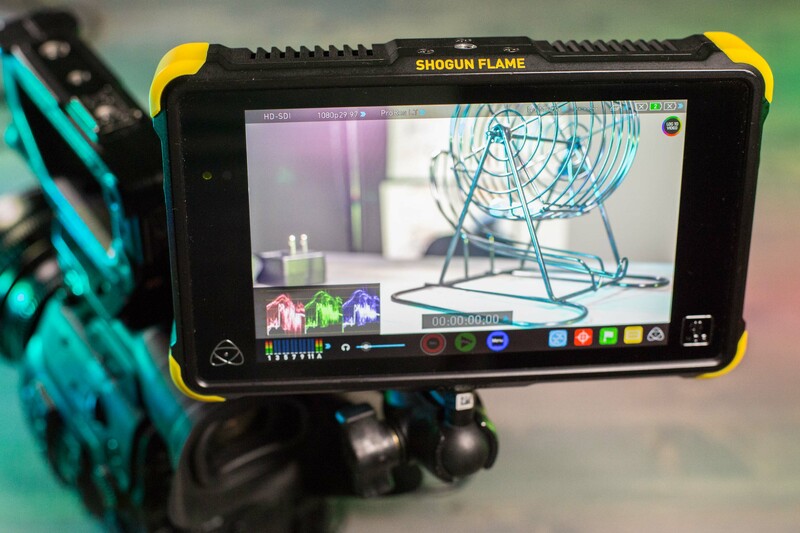 The Shogun Inferno and Ninja Inferno add additional 4K and 2K high frame rate options for compatible cameras. It’s worth noting that Atomos is still promising more high frame rate options in an upcoming update. Though, I’d never buy a recorder on the promise of a future software upgrade. Just as an example, it took two years to fulfill the promise of raw DNG recording on the original Shogun and after they’d released two hardware updates to that particular model. Older Atomos products still have their place as well. On the lower end, the Ninja 2 is still a great companion to cameras that output 10-bit 4:2:2 via HDMI and the Ninja Blade (HDMI only) and Samurai Blade (SDI only) add an upgraded screen. The lower prices of the last generation Ninja Assassin and Shogun may seem appealing, but we saw issues with overheating and loose battery plates, so we steer people toward the Flame versions of those recorders. The Convergent Design Odyssey 7q+ in my mind is the recorder to go to for the most compatibility options. It accepts SDI and HDMI input, has signal passthrough, utilizes common Sony NP batteries and the raw bundle upgrade installed on all of our rental copies is compatible with the most popular raw capable cameras from Sony, Canon, ARRI, and Varicam. The recorder works well as a monitor, and the large screen has helpful options for managing exposure and pulling focus. This recorder currently has the most options for high frame rates, being the only third party recorder capable of 120fps 4K raw burst recording. The 7q+ also has the ability to turn the unit into a multicam recorder and switcher with the Apollo upgrade (not included on rental copies). Downsides to the Odyssey 7q+ are the proprietary SSD memory cards, mini HDMI ports, and very long wait times when switching between camera recording profiles. The wait times are so long that it can be a deal breaker if you are trying to rely on quickly switching between 4K or 2K high frame rate recording and normal 4K recording as I’ve found myself needing to do on multiple occasions. We also carry older version of the Odyssey. They all have the same raw package but lose the ability to record 4K video over HDMI. The Apollo recorder is another option if you just need a multicam recorder without the option for raw or high-speed capture. The underdog in the recorder battle is the Sound Devices PIX series. The PIX-E5 is a small recorder with a 1080p Gorilla Glass touch screen and very sturdy housing. Between the three brands mentioned here, the PIX-E5 would certainly withstand a drop the best. It accepts 4K signals over HDMI and 1080p signals via SDI with pass-through outputs for both. The recorder uses proprietary SSD drives and takes standard Sony NP batteries. It will record ProRes up to 12-bit 4:4:4:4 XQ and has proxy options via an SD card slot. The only reason I can see for its lack of wide adoption is the small screen size relative to the Atomos Flame/Inferno & Odyssey 7q+ recorders. The slightly older PIX 240i is probably near the end of its lifespan. It can record 1080p via SDI to 12-bit ProRes 4:4:4:4 or 1080p via HDMI up to 10-bit 4:4:4. Proxy recording is available onto a CF card, and video can be monitored on a 480p screen which is pretty unimpressive by today’s standards. Audio is superb on all of the Video Devices recorders as it borrows the system from Sound Devices 7 series professional audio recorders. If you’re going to be renting a recorder from LensRentals, I’d suggest looking at our Battery Life and Recording Times article to see how much and what type of memory you’ll require. As with most products we rent that use batteries, we suggest three batteries to cover the needs of most renters, the thought being that you’ll have one in the recorder, one charged and ready to go, and one charging at all times. Don’t forget to rent the correct HDMI or SDI cables needed for your particular camera and recorder combo. Keep in mind that some cameras do not record at the highest quality from all available video outputs. If you have any specific compatibility questions, our techs are available at support@lensrentals.com and Monday-Friday 8am to 5pm CST at (901)754-9100. Recorders serve a few very specific needs in the video world and are needed to get the highest quality footage out of most cameras. They are a valuable asset that can breathe new life into a camera that has a subpar internal recording. With the added bonus of monitoring and the possibilities of raw recording, you might consider adding one to your next order. I would say it is noticeably sharper, but you will be taking in a lot more data for that sharpness. Great info! I have a sharpness question specifically regarding the c100: how much sharper of an image do you get with an external recorder and this cam? Is it noticeably sharper so that even a civilian would notice it? Or is it only something we video specialists could see? I really like the PIX-E5. Biggest downside is that it has actually burned me with how hot the housing gets. You’ve inspired me to do some more field testing with it. Thanks for the great info. Likewise, the Odyssey’s drives are stock 2.5″ SSDs with an attached handle. You can buy a 5-pack of handles and add ’em to your own drives. Convergent Design currently supplies Samsung 850 EVO and EVO PRO SSDs in sizes from 256 GB to 1 TB, with the full approved-drive list shown in the Odyssey/7Q/7Q+ FAQ at https://convergent-design.com/support-faqs if you want to buy your own. New Atomos recorders still use that plastic sleeve they always have. Though, I’ve never personally experienced any big issues with them. Flimsy is probably the right descriptor. Good note on the SDI capabilities of the PIX. I like the form factor of the speed drives, but off the shelf hard drives are hard to beat on pricing. Thanks for the input! So, Atomos has ditched their caddies? One of the main reasons I sold the Shogun was the remarkably flimsy SSD caddies and caddy reader. The PIX E5 can record 4K over SDI (since FW 1.10), but since I’ve only used HDMI, I can’t tell for sure. I can agree the media for PIX is semi-proprietary (mSATA SSD in USB3 enclosure) and somewhat pricey, but such a breeze to use out in the field. The PIX-E7 will have the same specs as the PIX-E5 save for the larger screen, but unfortunately we don’t currently offer if for rental. I did fail to mention the XLR add on for the PIX-E5 that adds two analog XLR inputs. 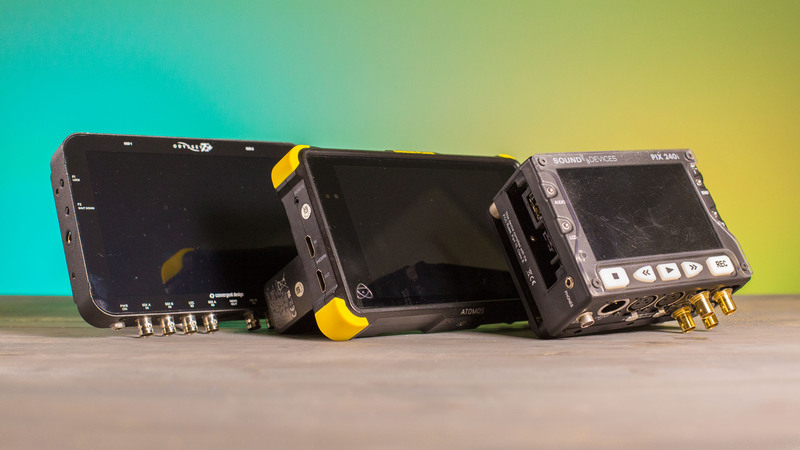 As far as media for the recorders, all of the Atomos recorders except the Ninja Star use standard 2.5″ SSD drives. The Convergent Design recorders use SSDs mounted on caddies that make them proprietary. The PIX-E5 uses proprietary “speed drives” and the older 240i uses standard 2.5″ SSDs. We have recommended media listed on all of our recorder product pages if that is helpful. Isn’t there a Pix E-7 with the same Sound Devices audio interface? Could you say a bit more about what media each of these records to?